Russia's Audit Chamber has discovered $1.8 billion of financial violations in the Roscosmos space agency. According to Chamber head Tatyana Golikova, this included accounting violations, misuse of budget funds and inefficient spending on construction. "At first I didn't believe the inspectors," Golikova said, Interfax reported. The Audit Chamber has observed a sharp rise in violations at Roscosmos since last year, she said. "It was an absolute surprise for me. I conducted a budget inspection last year, and now in 2014, the number of violations has grown sharply." Earlier, Russia's Deputy Prime Minister Dmitry Rogozin blamed corruption in the space industry for the recent high accident rate of Russian spacecraft. Speaking in the State Duma on Tuesday, he said Roscosmos' partner, the state company producing Proton rockets, is facing eight criminal cases. "We have uncovered acts of fraud, abuse of authority, document forgery, resulting in over 9 billion rubles ($180 million) of financial damage," Rogozin said at a State Duma plenary session. "With such a level of moral decay, one should not be surprised at the high accident rate." One of the projects apparently seething with violations is the new Vostochny (Eastern) Cosmodrome. According to Golikova, its construction saw an overspending of about 13 billion rubles ($260 million). She says this resulted from overpricing and use of fraud schemes. The numbers are being looked into by the Russian Investigative Committee. 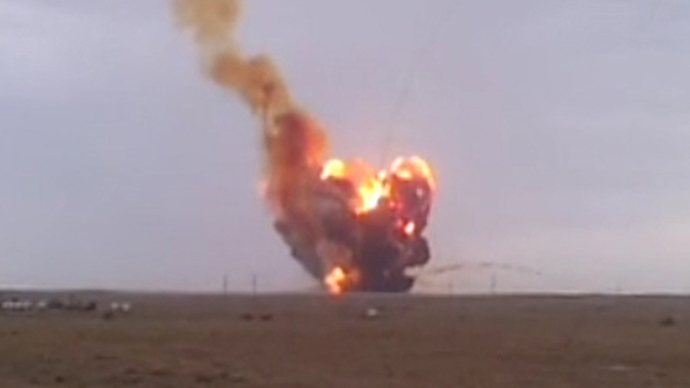 Two space vessels launched by Russia crashed during the past month alone. On May 16, a Proton-M rocket launched form the Baikonur Cosmodrome with a Mexican satellite on board burned up in the atmosphere after a telemetry failure. And in the end of April, the cargo vessel Progress failed to dock with the International Space Station, went off orbit and after a few days of attempts to regain control, also disintegrated in the atmosphere.